In such meditations, and in a sermon especially focused on the subject of “The Indwelling Spirit,” Newman seeks to understand the Lord’s promise that “it is to your advantage that I go away, for if I do not go away, the Counselor will not come to you” (Jn 16:7). On the surface, it would seem otherwise. The absence of Christ under His human appearances seems quite disadvantageous, not the preferred thing for disconcerted and timid disciples. Questions of fidelity, strength, direction, wisdom, etc., naturally surface in the mind of any sincere but realistic disciple. Yet it must be so, the Blessed Cardinal affirms. 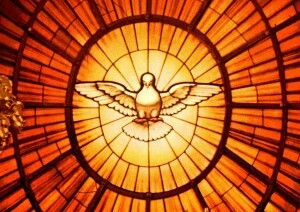 The Holy Spirit’s presence within us should be at least comparable to that of Christ’s, otherwise “Christ’s going away would be a loss, and not a gain, and the Spirit’s presence would be a mere pledge, not an earnest.” And so he concludes that the Spirit “comes to us as Christ came, by a real and personal visitation.” A pledge, after all, is only a promise, but an earnest (or deposit) is an actual “down payment” on an amount to be given fully only in the future. An earnest is a real, if germinal, portion. Although it is “not by measure that God gives the Spirit,” our earthen vessel on its pilgrimage heavenward is capable of receiving only so much of the Gift (cf. Jn 3:34). An apt parallel is the Psalmist’s avowal: “I shall know the fullness of joy before your face, O Lord” (cf. Ps 16:11). We have joy in the Lord here and now, and are exhorted to rejoice in the Lord always, but the uncertainties of life necessarily render it imperfect. Joy to the full, perfect and lasting, only comes when we no longer fear its loss. And this is the state of those who stand before the light of God’s face. If we would share Newman’s deep awareness of the Spirit’s residence within, we know that some personal changes are called for. But of what kind? Are we asked simply to “make room” for the Spirit by quitting one or another of our bad habits, reducing the clutter in our interior life so as to accommodate a distinguished presence? The Lord never wants us only to sweep the house clean and leave it tidy but empty. More than rearranging furniture—shifting the contents of our inner life—the Holy Spirit demands an entire handing over of the keys to our house, the “earthly, fleshly, wretched tabernacle,” so that He might, as in Newman’s prayer, take full possession of it. In other words, we become a temple upon the Spirit’s entry, not before. We ourselves cannot lay the foundations and raise the walls and parapets. Construction work of this kind is God’s, for “unless the Lord builds the house, those who build it labor in vain” (Ps 127:1). But to invite Him in, as the liturgy of Pentecost urges us to do, is to say “Come” to the only One who can set our house in order. The assorted materials or elements in us that need healing, evening out, solidifying or softening, cooling or warming, are like so many structural add-ons that only a master architect can fashion into a harmonious, decorous whole. If, as Newman says, Jesus substitutes the Spirit for Himself in Christian souls, then He brings about in us more than a change of attitude, or a new lease on life. In the Gospels Christ enters the Temple to cleanse it, to claim it for Himself and His Father. 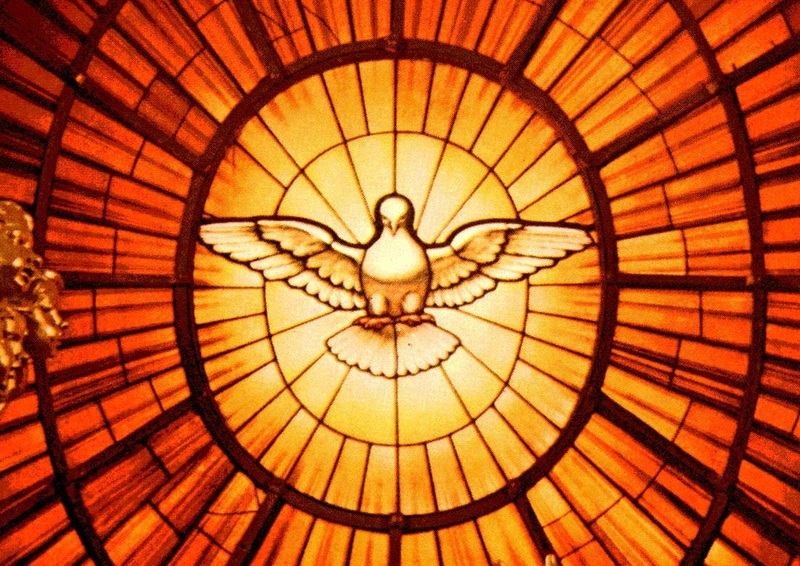 The Holy Spirit is sent to us by both Father and Son for the same purpose: we are purchased by Christ so that His Spirit can range freely within us, governing and purifying our hearts and minds, making us into a dwelling fit for Himself. He helps us not only to jettison this or that vice, but to do the great and main work for which He has been sent: to build us into Christ. In Him “the whole structure is joined together and grows into a holy temple in the Lord; in whom you also are built into it for a dwelling place of God in the Spirit” (Eph 2:21-22). This and all other Newman quotations taken from his Meditations and Devotions, part III, section 14: “The Paraclete,” and “The Indwelling Spirit,” PPS Vol. 2, 19.